Originally enacted in 1863, the False Claims Act is a federal statute that is a key tool in the government’s fight against Medicare fraud. While the concept of the False Claims Act is simple – to provide the federal government with a way to recover fraudulent disbursements – the law itself is anything but. Combined with the Medicare Claims Processing Manual and the various other laws that federal authorities use to combat Medicare fraud, the False Claims Act presents a highly-complex – and highly-dangerous – piece of federal legislation for health care providers who are doing their best to comply with the law. We’ll start at the beginning. As its name implies, the False Claims Act prohibits and imposes penalties for submitting “false claims” to the government. But, what exactly is a false claim? While the False Claims Act itself contains certain select prohibitions, False Claims Act investigations and prosecutions typically arise out of violations of other federal statutes and regulations. For example, an enforcement action involving allegations of illegal kickbacks would likely be based on the provisions of the Stark Law or the Anti-Kickback Statute. While this “knowingly” standard is good news for providers, the limitations on liability under the False Claims Act are not quite as limiting as they seem. This is because a provider can be deemed to have knowledge if it can be shown that the provider either (i) was deliberately ignorant of the false or fraudulent nature of the disputed claim, or (ii) recklessly disregarded the veracity of the claim. It is important to note that the False Claims Act’s “knowingly” standard applies to civil claims only. Under 18 U.S.C. Section 287, healthcare providers can face criminal prosecution if they “intentionally” submit false or fraudulent claims for Medicare reimbursement. There are two ways that health care providers can face federal enforcement action under the False Claims Act. The first is an action initiated by the government itself. Agencies from the Department of Health and Human Services (DHHS) to the Federal Bureau of Investigation (FBI) pursue cases against providers suspected of False Claims Act violations, and the Medicare Fraud Strike Force is a combined effort of multiple federal agencies that is exclusively focused on combating Medicare fraud and abuse. The second way that health care providers can face potential liability under the False Claims Act is through a qui tam lawsuit, also known as whistleblower litigation. Under the False Claims Act, citizens can report suspected Medicare fraud to the government, and the government is legally obligated to investigate the complaint. If the allegations appear to be valid, the case will move forward; and, if the case is successful, the citizen who reported the claim (referred to as a “relator”) will be entitled to collect as much as 30 percent of any damages recovered. The False Claims Act’s whistleblower provisions provide strong incentives for a wide range of individuals and companies to report alleged instances of Medicare fraud. For example, qui tam actions are often initiated by disgruntled former employees and even competitors who are seeking retribution against law-abiding health care providers. The False Claims Act imposes severe penalties for submission of false and fraudulent Medicare reimbursement claims. These include an $11,000 penalty per false claim plus three times the actual damages sustained by the government. False Claims Act violations can also lead to denial of future payments, loss of Medicare eligibility, loss of hospital privileges, state disciplinary proceedings, and liability for the government’s legal fees. The “per false claim” aspect of the False Claims Act’s penalty provision is critical. 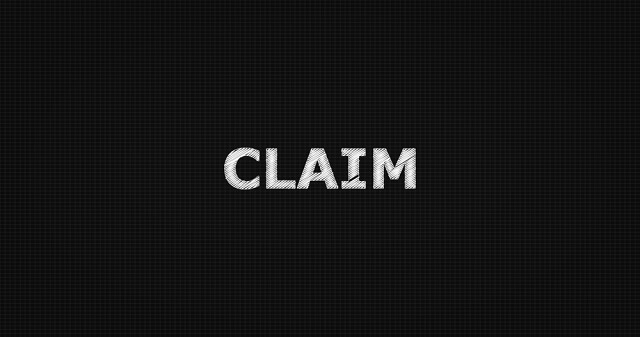 The act defines a claim as, “any request or demand . . . for money or property . . . that is presented to an officer, employee, or agent of the United States . . . .” This means that each individual reimbursement request constitutes a claim, and Medicare enforcement actions will typically focus on providers who have submitted numerous – potentially hundreds or thousands of – false claims. If your health care business or medical practice is being investigated under the False Claims Act, it is important that you seek legal representation promptly. At Oberheiden, P.C., we have a long track record of successfully helping clients resolve their investigations prior to civil proceedings or criminal charges. To speak with the attorneys in our health care fraud defense practice in confidence, please call (888) 356-4634 or contact us online today.